Our first Christmas as Mr and Mrs 2015 wedding Christmas ornament cross stitch design. Want to create a special present for a new married couple in your life? This is the perfect ornament and is pretty quick to stitch up for a last minute gift idea. You can even personalize the design with the couple's wedding colours to make it extra special. 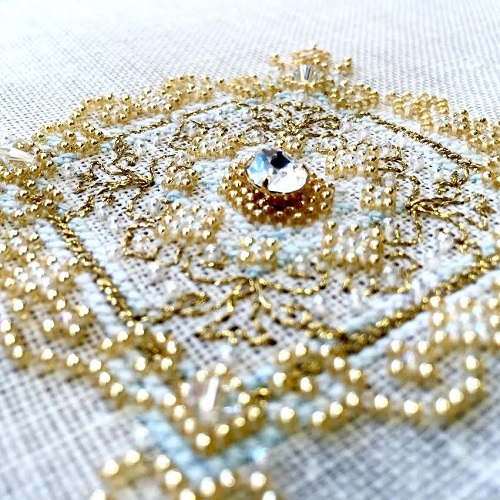 The design calls for DMC colours, Kreinik thread and beads. It measures 51w by 53h. You will receive a PDF black and white symbol chart.